Brief introduction of WuXi City ShuGuang Coating Factory Co. Ltd.
WuXi City ShuGuang Coating Factory Co. Ltd. Is a manufacturer, which has engaged in producing specially use coating for 30 years. 1、72KKD-electromagnetic wave shielding conductive coating (Component---one part), also called conductive coating. It has four types: 72KKD-3035, 72KD-102, 72KKD-25C, and 72KKD-25C-11. And the coating products are applicable for military and electric products. 2、 High-quality elastic coating, also called elastic coating. It is applicable to surface coating of non-metal & metal products. The product after coating has soft feeling like rubber. The company has been honored with titles from city and province level including: “hi-technology enterprise of jiangsu province”, “hi-technology products of jiangsu province”, “private-owned science & technology enterprise of jiangsu province”, “95 jiangsu excellent product”, “wuxi city hi-technology enterprise”, “wuxi city hi-technology product”, “enterprise of credit & honesty”, “enterprise of standard measurement”, “five-star enterprise”, “wuxi city membership of surface project associate” and “China cooperation enterprise of Sino council for promoting international cooperation & exchange”. It has passed ISO9001:2000 international quality certification system. 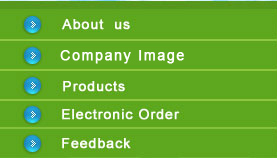 Our company will manufacture the products according to orders of customers with delivery terms of “zero- defects”.